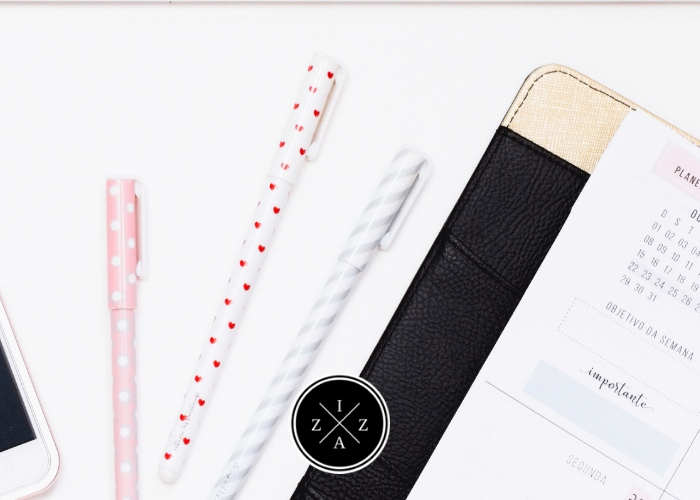 Managing two blogs with a full time is no easy task. For years, I struggled so much to be productive. I have too many tasks to do from writing a post, editing photos, and publishing to keeping up with social media. Not to mention I go to work from 9am to 6pm, five times a week. I always end the day feeling defeated like I missed so much of what I want to accomplish. But I am so committed to change things up this 2019. I did my year-end review and set some goals too. Now, to help me accomplish those big goals I found helpful productivity tips I want to share to you. Here are the 7 productivity tips I’m implementing to make my 2019 the best year ever. 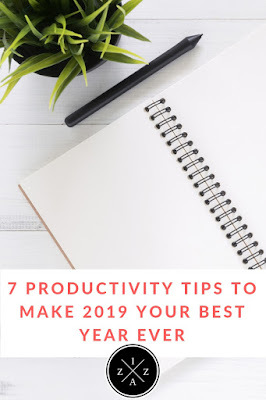 I cannot say I am already a master of time management, but these tips definitely increased my productivity level compared to the past. A great day starts the night before. I don’t know where I first heard/seen this line but this is so true. Planning the night before allows you to shape tomorrow. It gives you that power to “change” tomorrow’s outcome. Planning your day is same as having a budget, only that you are allocating your hours to your tasks and not your money to your expenses. When I plan my day the night before, everything seems to be working for me and not against me. I have a prepared vision of the tasks I have to accomplish, meetings I need to attend and bills I have to pay. I get to choose which task to prioritize, limiting me from doing the “time wasters” – browsing phone, googling random things and watching YouTube videos. If you haven’t tried planning your day the night before, I highly encourage you to so. It is helping me tremendously this 2019. If you are a blogger like me this is an important tip that will increase your productivity 100%. Have a dedicated workspace where you can feel creative and productive. Stop working in random places of your room or house and instead choose a corner where you feel the most comfortable to sit down and work. Why I find this helpful? A workspace allows you to do real “work”. It helps setting boundaries between relaxation and doing productive tasks. From my experience, as soon as I sit down in front of my desk I knew I am now Izza, the blogger. I get to do a lot more tasks for my blogs now that I have a separate desk for it. You don’t need to spend a lot on this. The desk I use is from Handyman and I only paid Php 610 for it. I bought two desks, one as a workstation and the other as a bedside table/war room. It worked perfectly for me. Have you heard of the Pomodoro Technique? It is a well-known technique in accomplishing any to-do list wherein you set an amount of time, commonly 25 minutes, of continuous deep work. You cannot be distracted or you cannot withdraw from the task you are doing in that time frame. This really helped especially with the tasks I have as a blogger. You can easily apply this with every task you have moving forward. To stay away from procrastinating, time each tasks and do it. This works perfectly with the Pomodoro Technique. Before I use to spend all day writing blog post and end up finishing only one - not enough for the two blogs I own. Then I discovered batching similar tasks and it made everything possible. How batching works? Group similar tasks together and do them all at the same time. How to implement batching in your life? Brainstorm the things you have to do. Block time. Split your day into segments where you will do the said tasks. Instead of outline content every single day, I spend an hour every Saturday to batch outline all posts. This saves me time on workdays for other tasks. Instead of editing blog thumbnails/images per post, I edit everything by batch too. I grab a timer and spend 25 minutes editing photos and creating blog thumbnails. The result is I get ahead of the photos I need for every post I publish. I also implement batching in taking photos. I used to take photos as they go but now I plan everything in advance and shoot everything at once. I dedicate the second and last Saturday of the month for shoot. There are more ways you can increase your productivity by batching. It applies in meal prepping food for a week and deleting unread emails at once for inbox zero. All you need to do is get a clear picture of what tasks you have, group them by category and schedule time increments of when you will accomplish them. Do not overcommit. There are days when we just want to do a lot of things at once only, 10 to 20 to do lists, only to miss almost everything. Because you didn’t stay true to yourself. The reason why planning the night before works so well is because you have the liberty to study what tomorrow is going to be. You can adjust which tasks you will accomplish on what day and have enough allowance to schedule them. There are only so much we can accomplish in a day. Pick your three most important tasks (MITs) of the day and leave the rest as a “if I have time” list. As long as you did the MITs you are free to call the day productive. Know which tasks you have to prioritize instead of wasting your time on the no so important ones. Disorganized desk can ruin your mood to do some tasks. Personally, if my desk is messy I tend to get easily distracted. I end up doing small things for procrastination like reading old notes, browsing my phone among others. A clean desk promotes an invitation to be productive. If I see my laptop ready, I feel ready to too do some content creation. Try tidying up your work are before and after you are done so you can start the work with a clean slate and end the work with a clean slate too. Lastly, do celebrate your progress every now and then. This is a good way to encourage you for another day of hustling. The best way I implement this is by writing down my victories. I am currently using the Bullet Journal system to plan and organize my life and it helps keep a record of my small wins too. I sometimes reward myself with freedom to snack some “ramen” after a busy day at work. Although, not always as I am saving money. Whenever I finish a good amount of pages in the book I am currently reading, I allow myself 15 minutes of free time browsing YouTube. Again, there a lot of ways you can implement this tip. Do you have any other productivity tips to share?